The national curriculum for computing has been developed to equip young people in England with the foundational skills, knowledge and understanding of computing they will need for the rest of their lives. E-Safety has become compulsory in the new curriculum ensuring that all pupils are taught how to respect themselves and others in the digital world. This has been something that Corsham Regis has had as standard practise for some years now. 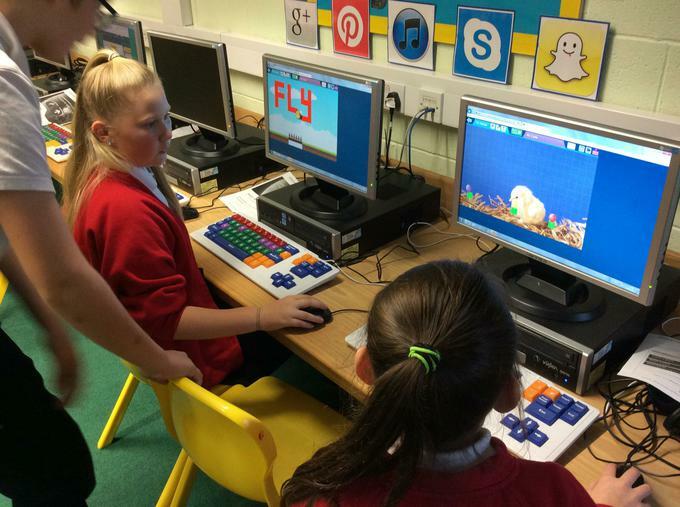 Through the programme of study for computing, they will learn how computers and computer systems work; they will design and build programs; develop their ideas using technology and create a range of content. 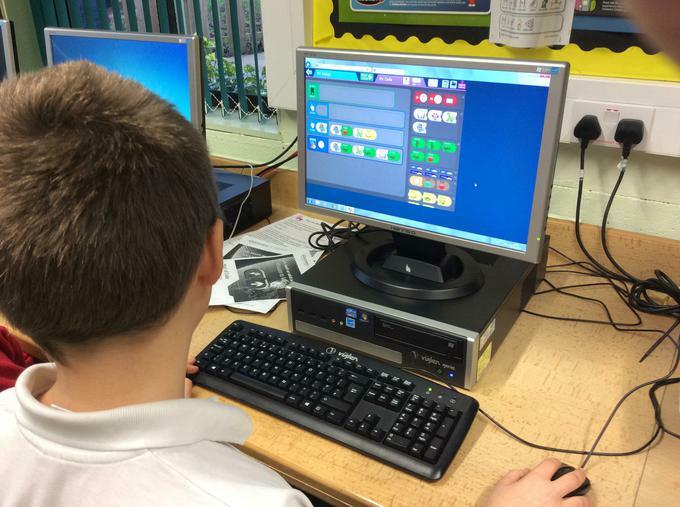 We aim to teach pupils how to use the computer hardware and software confidently and access a range of media to support their learning in other areas of the curriculum. This is a really exciting time to be a pupil at primary school. 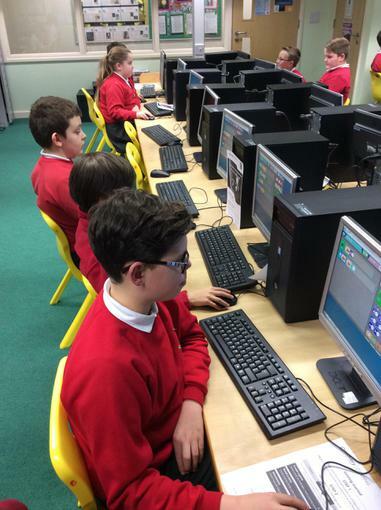 The opportunities that advances in technology will bring to our pupils as they grow up are hard to imagine. The curiosity, creativity and courage that are nurtured in them now should endure as they move on through education and into adult life. A display showing the range of ICT work we have done at Regis so far this year. 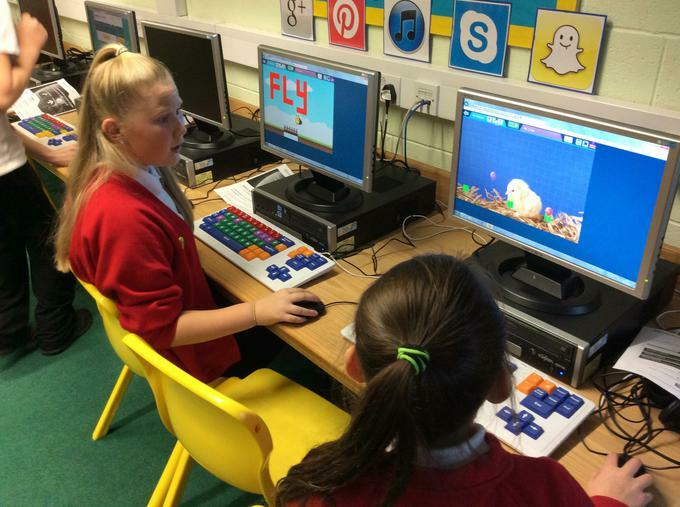 Jade class having their first computer lesson! An hour of Coding from Discovery Education. E-Safety KS2 Activities for KS2 children to help them understand what is safe to put on their profile. E-Safety E-Safety has become a main section to cover in school - take a look at the program available. Science Clips Science games to help with the various areas covered in lessons. Key Stage One Games Explore the adventures of Barnaby Bear and improve your geography skills. 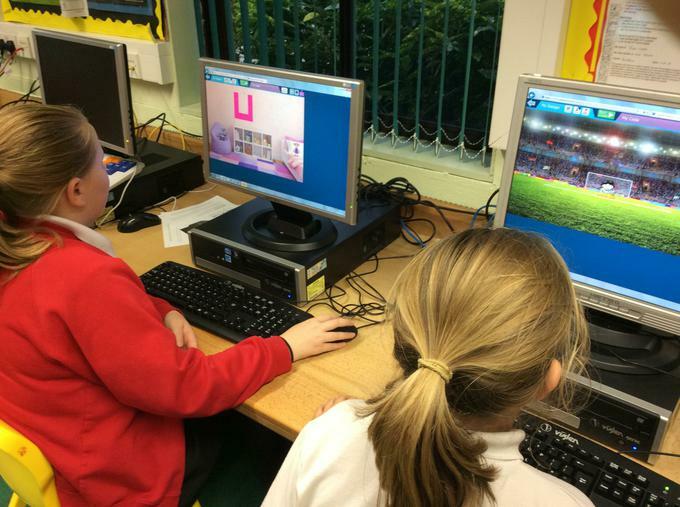 ICT Games Many games to share with your child and to help in their learning. Modelling Skills Year 2 have had fun using this program while learning how to send E-Postcards. BBC Learning support Some activities to enjoy with your child. skillswise A great program for the children to improve their mental maths skills.